Self Laminating - Protects and Seals Writing. 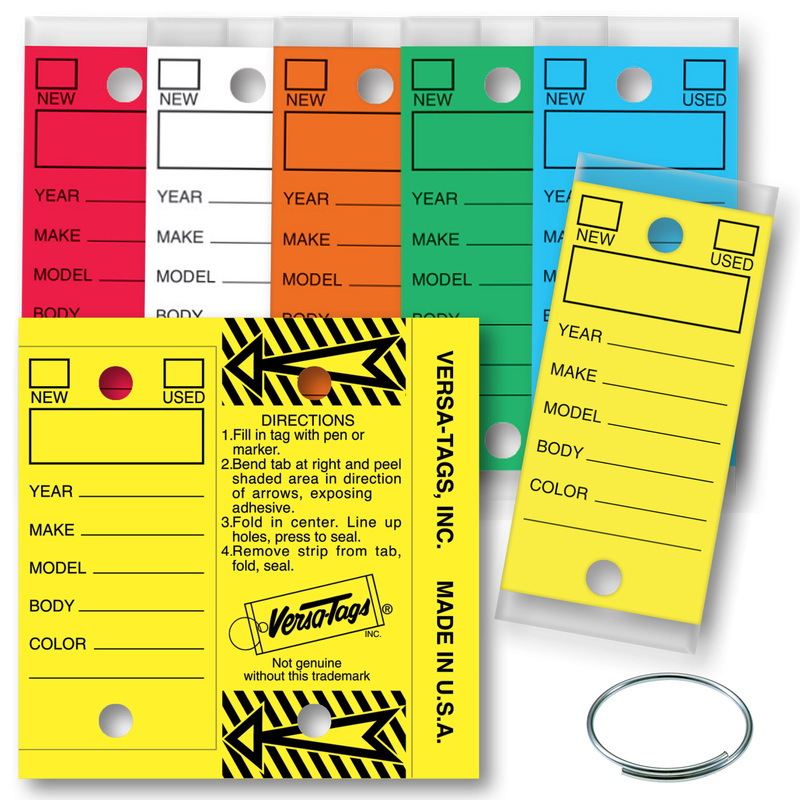 Write on tags with any pen, pencil or marker. Easy peel, fold and seal. Permenant. Preprinted with Year, Make, Model, Body, Color. Available in Yellow or White - Other Colors can be special ordered- Please Call us.